Today, more than ever, our society needs to grow happy and passionate people! 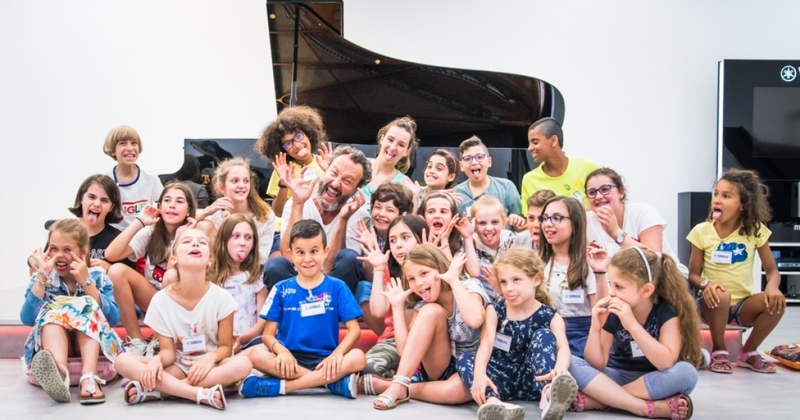 This meeting aims to show the importance of music for a harmonic growth of people, and the importance of welcoming the music in the life of kids since they are very young, with methods and good teachers, experienced from both a musical and psychopedagogy point of view. A psycologist of development will show all the benfits that studying music gives to children, since before the school age. A meeting to understand that music is for everyone! It is a gift that every parent and music teacher can give to the people that will be our future. We will talk about this with music, words, images, science, and psychology, with prof. Luigi Berlinguer, president of CNAPM (National Committee for the practical teaching od music), dott.ssa Annalisa Spadolini, from the Italian Ministry of Education and Research, dott. Isabella Gasperini, psychologist, Mariangela Vacatello, pianist and teacher of the Conservatory of Terni, Cesare Picco, world-renowned pianist and composer, Roberta Ferrari, responsible of education of Yamaha, and further important institutional and musical personalities. But mainly, children will explain to us the importance of music, with surprising joy and love.